Reading and share top 4 famous quotes and sayings about Black Pearls by famous authors and people. Browse top 4 famous quotes and sayings about Black Pearls by most favorite authors. 1. "But her name was Esmé. She was a girl with long, long, red, red hair. Her mother braided it. The flower shop boy stood behind her and held it in his hand. Her mother cut it off and hung it from a chandelier. She was Queen. Mazishta. Her hair was black and her handmaidens dressed it with pearls and silver pins. Her flesh was golden like the desert. Her flesh was pale like cream. Her eyes were blue. Brown." 2. 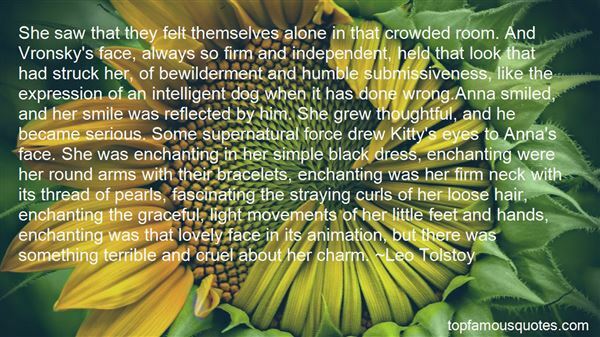 "She saw that they felt themselves alone in that crowded room. And Vronsky's face, always so firm and independent, held that look that had struck her, of bewilderment and humble submissiveness, like the expression of an intelligent dog when it has done wrong.Anna smiled, and her smile was reflected by him. She grew thoughtful, and he became serious. Some supernatural force drew Kitty's eyes to Anna's face. She was enchanting in her simple black dress, enchanting were her round arms with their bracelets, enchanting was her firm neck with its thread of pearls, fascinating the straying curls of her loose hair, enchanting the graceful, light movements of her little feet and hands, enchanting was that lovely face in its animation, but there was something terrible and cruel about her charm." 3. "It's an odd thing, happiness. Some people take happiness from gold. Or black pearls. And some of us, far more fortunate, take their happiness from periwinkles." 4. "Charred bits of black silk swirl into the air, and pearls clatter to the stage… I'm in a dress of the exact design of my wedding dress, only it's the color of coal and made of tiny feathers. Wonderingly, I lift my long, flowing sleeves into the air, and that's when I see myself on the television screen. Clothed in black except for the white patches on my sleeves. Or should I say my wings. 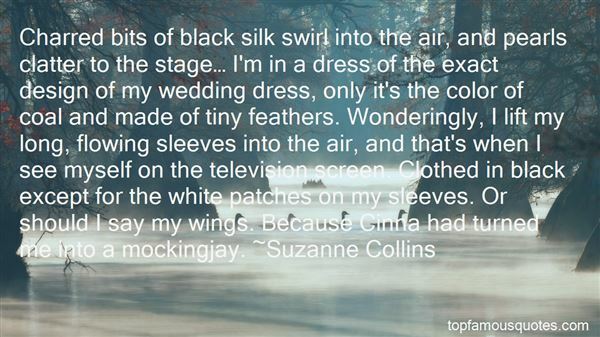 Because Cinna had turned me into a mockingjay." Look, we play the Star Spangled Banner before every game. You want us to pay income taxes, too?"